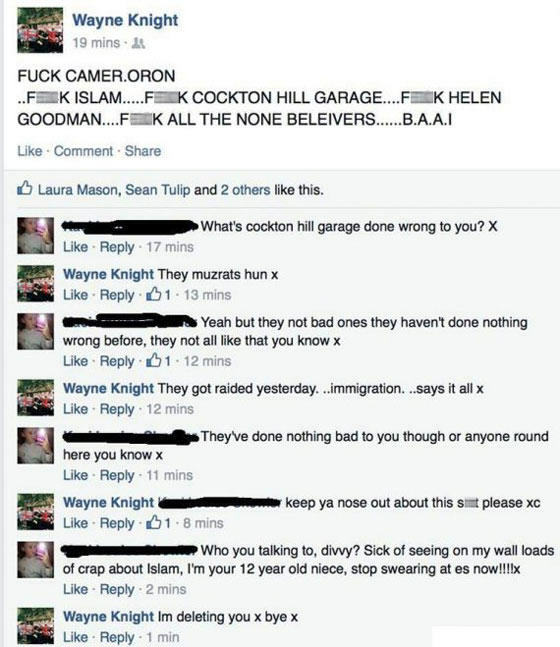 An EDL member got into an argument on Facebook after posting a status… Nothing new there. But this divvy was arguing with a 12 year old. Now, when you make political statements like that, as you are entitled to in this country, you will very likely come up against opposition by people who disagree with you. You’d think that by now, people would be prepared for this, and have some form of argument prepared. You know… Facts. But Wayne didn’t. He called them ‘muzrats’, and when the 12 year old pointed out that they had done nothing to him, he couldn’t reply… So he deleted her. The post has been shared all over the internet, with even the former EDL leader Tommy Robinson sharing it. 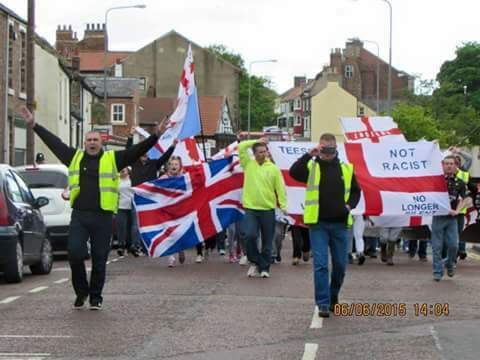 Wayne’s Facebook cover photo is a pic from an EDL march. So is his profile picture. He obviously believes very strongly in… something. If only he could articulate what it was properly.